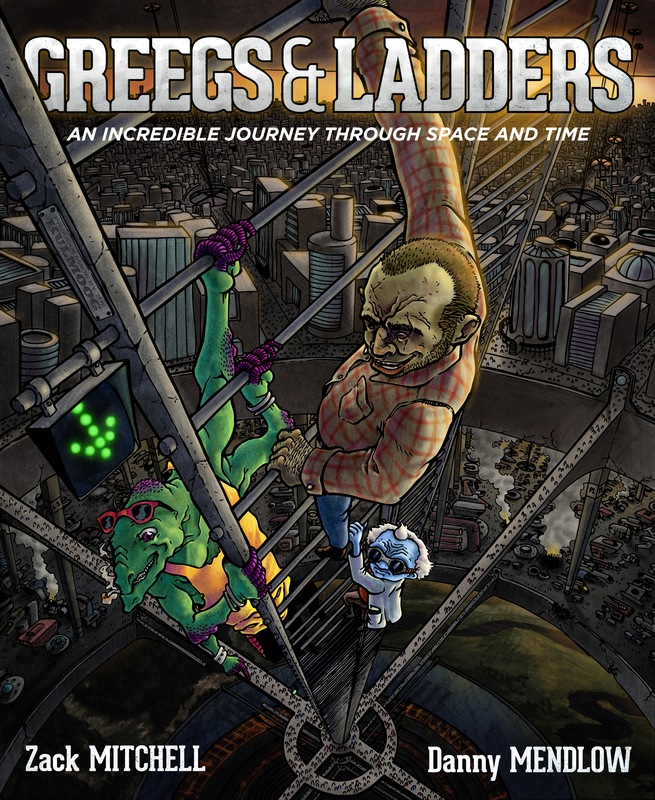 The Official Blog of Writing Duo Zack Mitchell and Danny Mendlow – Co-Authors of the free sci-fi satire novel and ebook "Greegs & Ladders"
Contact mitchellmendlow@gmail.com and talk to us about how to get a dedicated, signed copy… or a free one! Send us proof of you promoting the book on social media, Facebook and Twitter, and receive a free copy directly from the Authors! And we’re launched! We’re live! We’re… a book! After 3 years of slaving away; writing, re-writing, editing, doubting our sanity and threatening to launch missiles at each other from across the country over minor grammatical disputes and plot nuances… it’s here! Our very first collaborative novel. First, of hopefully many. We’re hard at work on Book 2. Zack has completed and released another solo project (with all that free time he has, leaving the tedious formatting and promotion to me). But forget all that for now, and go download our prized piece of work FOR FREE!!! That’s right, we are so dedicated to our art that we don’t even want to make money from it maaaaaannnnnn. (Total lie, we’d love nothing more than to squeeze you for every last dime.) But we’ll save that until we’ve got you hooked on the product. That’s right, we’re employing heroin/cocaine sales techniques to books. But in all seriousness, we really just want people to enjoy this as much as we did writing it. And we’d rather more people read it, than try to make a dollar off it. Download and eRead away! If you download and read the full book from any of these sources, please consider leaving a rating and review. It helps out a lot! GoodReads – Give Us a Review! *Mitchell & Mendlow are not responsible for you enjoying said words, but hope you do.